DePauw's long-term commitment to the mission of the Posse Foundation has served the University well, enriching our student body, our campus, and our classrooms with student leaders who make a difference. 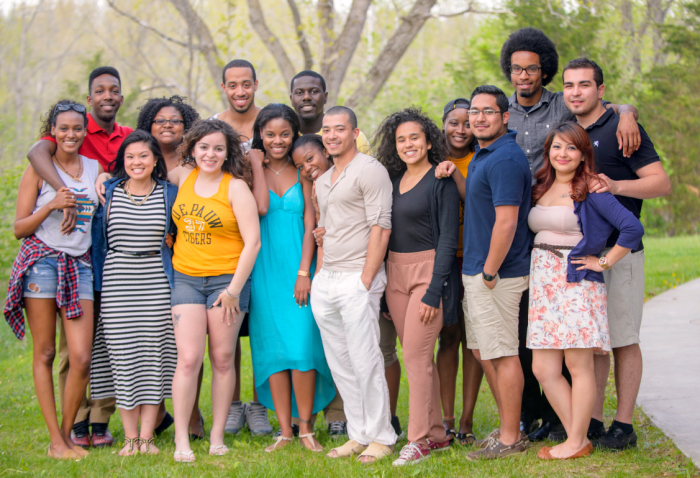 The Posse Foundation identifies, recruits and trains student leaders from public high schools in cities around the nation to form multicultural teams called “Posses.” These teams are then prepared, through an intensive eight-month pre-collegiate training program, for enrollment at top-tier colleges and universities nationwide to pursue their academic interests and help promote cross-cultural communication. The concept of a Posse is rooted in the belief that a small, diverse group of talented students—a Posse—carefully selected and trained, can serve as a catalyst for increased individual and community development. DePauw has partnered with the Posse Foundation since 1996 and became the first college in the nation to host two Posse groups (from New York and Chicago). Over the years, DePauw's hundreds of Posse Scholars have had a significant impact on campus, and our Posse alumni have gone on to become successful leaders, teachers, business owners, and scholars.